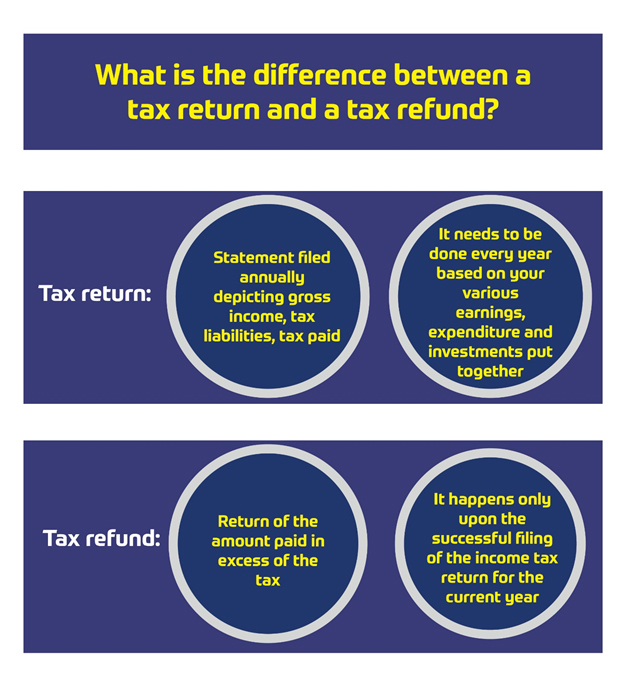 What is the difference between a tax return and a tax refund? A tax refund and a tax return are the most commonly used terms of a tax system. While the taxes could be either the ones paid directly by the taxpayers such as Income tax or the indirect ones such as GST (Goods and Services Tax). You might have often heard these two terms: tax return and a tax refund from the people around you. Though it might sound very confusing, these two terms mean entirely different. A tax refund and a tax return are the most commonly used terms of a tax system. While the taxes could be either the ones paid directly by the taxpayers such as Income tax or the indirect ones such as GST (Goods and Services Tax). It is important that you are clear with the terminology in order to avoid blunders, especially when communicating with the concerned person such as your CA (Chartered Accountant). So it is very important that you understand the difference of the two terms in order to use them correctly wherever required and avoid making confusions. A tax return or popularly known as Income Tax Return (ITR) is the information required by the Income Tax Department regarding your annual gross income across different sources, tax liabilities, tax that has been paid and the refunds (in case any: if the tax paid is higher than the tax owed) that the government is supposed to give. Income Tax Return has filed annually with the Income Tax Department disclosing the above information. Filing of the income tax makes a valid proof of your income. Income Tax Return filing helps you in many ways such as getting tax refunds, applying for loans, applying for tenders, startup funding etc. Often the ITR filings of last three years are asked as an income proof to verify your repayment capacity and the liquid capacity you hold. If the tax that has been paid (advance) is higher than the tax owed (which is known only after filing the return), then you could ask for the refunds. While in a case when the tax paid is lower than the amount owed, you need to pay the further balance. You can file a return easily online on the ITR e-filing portal until the 31st July. A tax refund comes into the picture when the tax that has already been paid is higher than the actual tax you are required to pay. A Tax refund is a difference between the tax you have paid and the actual tax payable, which is calculated only upon filing the income tax return. Once you file the return, then only you are entitled to ask for a refund. A refund is processed only upon a thorough assessment of the return filed for the respective year. If you are looking for the tax refund, then it is important that you file your return properly. As the information filled while filing the tax return would be used while you get a tax refund. 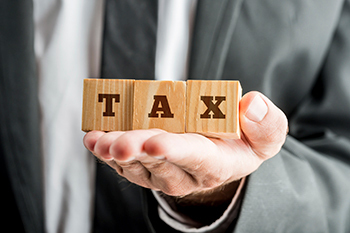 A tax return is the filing of details including total annual gross income, advance tax or TDS (tax deduction at source) paid, the tax liabilities and based on this the subsequent refund could be claimed from the government. This refund is calculated based on the information provided in the tax return and thus impact whether you are eligible to get a refund or not, in case eligible then how much shall be refunded directly. Hence, it is always advised to file the returns properly in time (before July 31) with accuracy in order to avoid any further consequences and to get your refund easily. It is the authenticity of the information provided during a return which plays the key role while getting your refund approved.